Allmaster Home Services takes the stress of out finding a company to repair the foundation at your home in the White Marsh, Maryland, area. We established ourselves in 1987 as a family-owned and -operated company dedicated to providing the best solutions to a variety of home improvement issues, including foundation problems. At Allmaster, we treat you like one of our own and keep you informed during the entire process from start to finish, ensuring you receive a repair that fits your needs. To guarantee the foundation repair at your home is completed correctly, we don’t offer a one-size-fits-all service. 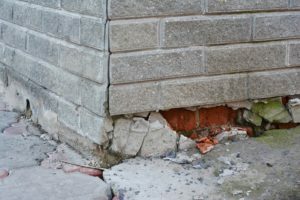 Instead, Allmaster takes the time to inspect your foundation and find the underlying issues, because every foundation and its problems is unique. We then formulate a solution specific to your foundation to repair it properly. Once we identify the foundation’s issues and what’s causing them, we have a variety of methods to solve them, such as underpins, carbon fiber straps, full wall replacements, steel I-beams, and many others. We are also a proud distributor of the Rhino Carbon Fiber® Wall Support System that repairs bowed foundation walls by linking the base to the house framing. To learn more about foundation repair services provided by Allmaster Home Services, contact us today. We proudly repair foundations for residents of White Marsh, Maryland, and surrounding communities.